Born and raised as an active Latter-day Saint, Ross left Mormonism and came to follow Jesus in a new way during his college years. After earning a Master of Divinity degree (emphasis on missions), he moved to Utah to plant a church. In over 35 years of ministry in Utah, Ross has been involved in starting a number of new congregations. His missiological training, combined with his experience as a former Mormon and as a Utah pastor, give him a distinctive insight into ministry in Utah’s unique religious and cultural climate. He has done much research into the challenges of enfolding former Mormons into the local church, the theme of his Doctor of Ministry dissertation. Ross has contributed to numerous articles and seminars, including Urbana 2015. His book Understanding the Book of Mormon was released by Zondervan in the spring of 2009. Understanding Your Mormon Neighbor, also by Zondervan, came out in September 2011. He has also published a study guide for former Mormons called Jesus Without Joseph. Ross currently serves as a teaching pastor at Alpine Church, a multi-site church in northern Utah, where he preaches, mentors and trains leaders, creates discipleship and leadership development resources, and coordinates the small group ministry. Ross recently started a web site called Faith After Mormonism, to provide resources for mentoring former Latter-day Saints into a vibrant new faith in Christ, along with the Faith After Mormonism. He is also a contributing editor at pursueGOD.org, an online discipleship resource library. Daniel Martin serves as an associate staff member of Utah Advance Ministries. He works with churches to implement ministries for former Mormons and contributes print and video resources to Utah Advance projects and websites. Prior to working with Utah Advance, he earned a B.A. in Biblical Studies at Florida College in Temple Terrace, FL, and a Master of Divinity and Master of Arts in Church History degrees at Trinity Evangelical Divinity School in Deerfield, IL. 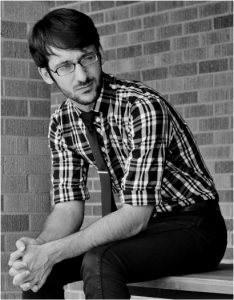 His master’s thesis was titled “Mormon-Evangelical Relations After 1997 and the Methodological Shift of Evangelical Ministry in Utah.” Daniel is also a writer and editor for pursueGOD.org and FLEXTALK.org.